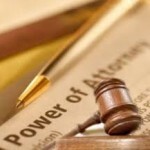 Powers of Attorney – Not a DIY Estate Planning Document | The Levin Law Firm - Philip Levin, Esq. Powers of Attorney are powerful legal documents that grant another individual broad rights over medical and financial decisions. Giving legal authority to another person, vested with the ability to make financial and health-care decisions, should involve careful planning. Ready-made legal forms found online and other DIY solutions are attractive to many individuals due to the ease of access and low cost. However, template forms are not the equivalent of properly designed Powers of Attorney drafted by a competent estate planning lawyer, in accordance with specific state law. Most states have strict requirements regarding the specific terms and provisions contained in this legal document, along with what constitutes a validly executed Power of Attorney. Fail to be Up-to-Date – Laws change and legal documents might need to be updated to reflect those changes. Many times laws change faster than online legal templates can respond, which are often not state specific. Was the document completed more than or 10 years prior? Some banks and other financial institutions might try to avoid a potential lawsuit by refusing to recognize an outdated Power of Attorney. Missing Provisions and Definitions – A DIY Power of Attorney might fail to address certain powers or limitations, such as a gift rider—which would limit the attorney-in-fact’s ability to make gifts to third parties. Likewise, a DIY advance health-care directive might lack “safe harbor” language. These terms minimize the health-care provider’s liability. Some health-care providers might not recognize a DIY Power of Attorney for this reason. “Springing” Powers of Attorney, which go into effect when the individual becomes disabled, should include clear definitions of how incapacity is determined in order to avoid judicial intervention through a Guardianship proceeding. Not Filed or Managed Properly – Depending on the state law which controls and the powers included in the Power of Attorney, the document might need to be filed in order to be enforceable. For example, for transactions involving real property in a number of states, a Power of Attorney might not be recognized if this legal document was not recorded in the Register of Deeds office where real estate owned by the client was located. Very often, local laws provide that, once the Principal becomes incapacitated, a financial Power of Attorney must be recorded at the Register of Deeds office in their county of residence in order for the Agent named in the document to have authority to act on behalf of the Principal. Agents appointed in Financial and Health-Care Powers of Attorney are vested with the power to take control over the management, investment, and distribution of another individual’s assets, as well as consent to medical procedures on their behalf. These responsibilities are essential if the individual becomes ill, injured, or incapacitated. 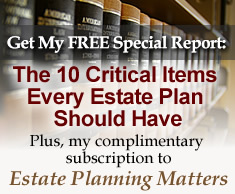 For the reasons detailed in this edition of Estate Planning Matters, DIY forms generally are not a wise choice for delegating important estate planning decisions. If you have specific questions about Powers of Attorney, or other vital estate planning legal documents, please contact The Levin Law Firm to arrange a Complimentary Consultation with Phil Levin, Esq., at (610) 977-2443.